With grant funding, Bespoke was able to purchase a range of hand tools and some motorised equipment which is being put to good use constructing some of our new technical lines as well as maintaining the existing trail network. If you would like to become a volunteer trail builder then Contact Us. Full induction and training is given to all new volunteers and we supply you with all the appropriate personal protective equipment as required except from boots. Get involved and make your mark on the trails! 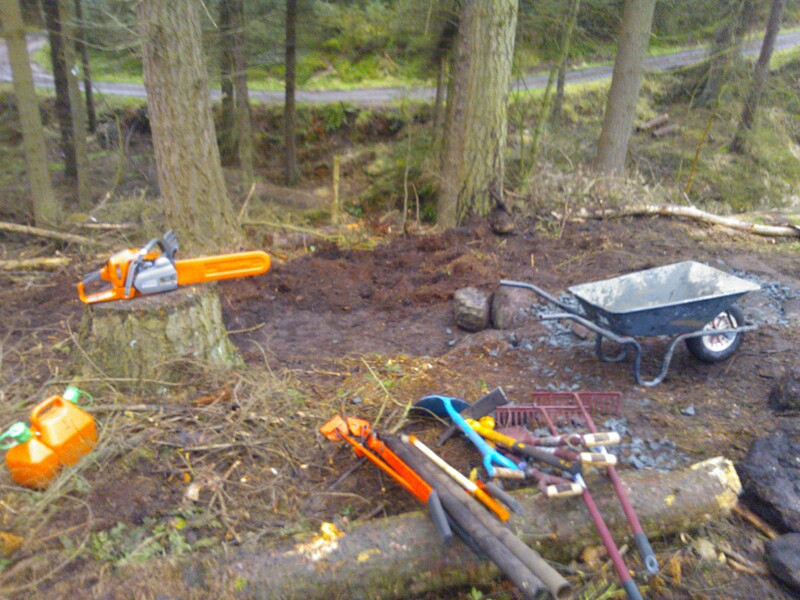 Bespoke is currently undertaking the construction of a technical trail in the Auchengean woods which has been entirely built by hand and with volunteer labour. The trail is still under construction so we urge users to stay off it until it is complete.